Executive bayfront home with private pool in magnificent gated Kelly Plantation, a golf and tennis community. 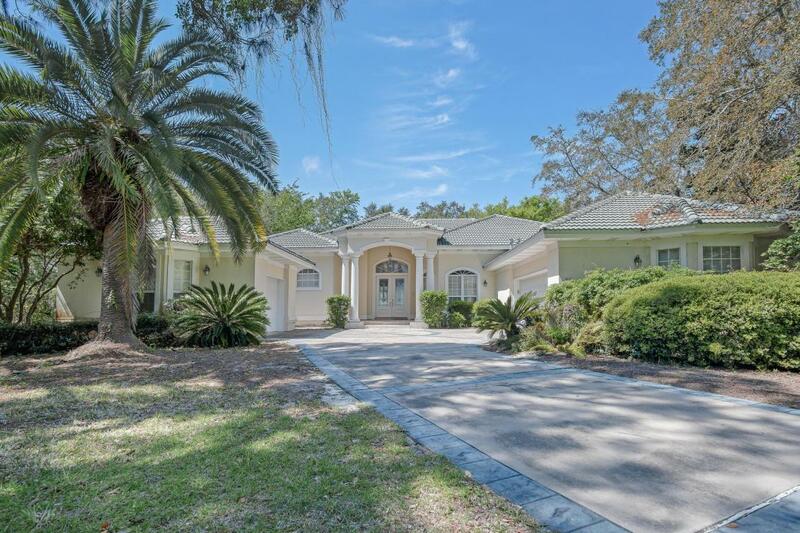 Spectacular bay views with 131 feet on Choctawhatchee Bay. An extraordinary back yard has a 270' cat walk that leads to boat dock, boat slip, and sun deck. Sea wall along the shore line. This custom built home has an open floor plan with large wet bar off of living room.Nice kitchen with custom cabinets. Solid surface counter tops with granite tile back splash. Spacious Master bedroom, bath, and dressing area.Nine foot triple sliding glass doors in living room offer gorgeous bay views.A large covered lanai at the rear of the home connects to a large screened in pool area. Beautiful for living and entertaining.Two car garage plus an additional one car garage.